Background: The changing pattern in the doctor-patient relationship is becoming more of a challenge for health care providers. For a healthy and effective doctor-patient relation, trust and communication is considered to play a vital role. Aim: This literature review was conducted with the aim to gather the knowledge and concepts pertaining to communication and trust in a doctor-patient relationship and how they influence patient satisfaction and perceived quality of health care services. Method: Various electronic databases including PubMed, Hinari, Cochrane, Scopus and Google Scholar were used to search for the articles. Related article titles were selected which was narrowed down to abstract of interested articles and the final 17 selected full articles were reviewed. Results: All the articles reviewed showed that both trust and communication were positively related to patient satisfaction and perceived quality of health care services in-terms of better compliance with medication and following medical advice; both in developed and developing country. Though, the determinants of trust differed slightly between rural and urban setting. Apart from the doctor’s communication skills, level of interpersonal treatment and knowledge about the patient, respect for the doctors and treatment assurance lead to better trust as well in rural setting. Patient -centered communication with two-way conversation using open-ended questions leads to better communication. Collaborative decision-making leads to better management and better chances of compliance with treatment. Conclusion: The current evidence suggests that patient-centered approach with effective communications skills and trust leads to better management and improved patient satisfaction. This is associated to better adherence to the treatment, better health outcomes and better perceived quality of healthcare services. Over the years, changing patterns in the society, advances in the medical care and easy access to medical information has made the doctor-patient relationship challenging [1-3]. Previously, the doctors were considered as the receptacle of all medical knowledge and this was used for patient management. In today’s era, things are a bit different. The medical knowledge has become a commodity between the doctor and the patient and treatment is customized to individual patients . The famous Canadian physician, Sir William Osler known for teaching x at bedside, stated, “A good physician treats the disease and a great physician treats the patient who has the disease” . This is a crucial note to keep in mind when it comes to managing patients. To provide the patient with high quality care, there needs to be a healthy doctor- patient relationship. Communication and trust are the key elements among the other factors in building a healthy relationship [5,6]. Effective communication has always been one of the ingredients of success in all fields of work. Either it is field of economy or medicine, having good communication skills is considered a ladder to success. In health care settings, trust and communication are labeled a tool for better patient care and patient satisfaction. There is a necessity to have some degree of trust to build a climate in which honest communication can flourish. Effective and efficient communication is a predictor of medical practice and delivery of health care services [1,7]. The quality of interaction with the patients is positively related to trust and patient satisfaction. All of these are either direct or indirect measures of the quality of health care services [8-12]. In Pacific Island countries and developing country like Fiji, the quality of health care services has been questioned and considered generally low in quality by the public. These issues have been raised in the media, including social media whereby the public themselves are commenting on the healthcare quality. One of the website, Expat Arrivals, stated, “In urban areas, Fiji’s public hospitals tend to be adequate, but in rural areas public health facilities are very basic and inefficient, or non-existent”. They also stated, “Standards of care are not always good and there tends to be long waiting times” . The South Pacific Situation Summary from the World Health Organization says that some of the Pacific Island countries' development efforts may bypass poor or most disadvantaged regions, and services are of low quality, especially for the poor . Hence, considering this rapid social changes and advances in medical technology in the Pacific Island countries like Fiji as well, the changing doctor-patient relationship needs to be studied for improvements in health care services quality [15-17]. Also, for effective and efficient quality of health services, it is important for Individual countries to have an evidence-based policies or interventions in place . Even though, there has been on-going studies conducted on a doctor-patient relationship, trust and patient satisfaction in other countries, there is limited studies done on patient satisfaction but none on trust in Fiji [19,20]. Therefore, as one of the means to provide public with improved and optimal healthcare services, it is important that the healthcare providers understand and realize the importance of trust and communication in their relationship with the patients. The purpose of this literature review is to gather the current knowledge on trust and communication in a doctor-patient relationship and highlight its importance towards service delivery with satisfied patients and quality of healthcare. The findings of this review will be of help to the health care providers, including ones in Fiji to realize the importance of building trust and communication. They can improve on the ways to build trust and improve their communication with patients, leading to better relationships and patient management. Also, as there are no current studies done in Fiji on patient trust and communication, this literature review attempts to prompt readers to conduct research on this topic. Search for literature on the topic was done using electronic database PubMed, Hinari, Cochrane, Scopus and Google Scholar. These databases were chosen based on the usage of previous similar studies. All types of study design such as qualitative and quantitative studies were included in the search. The search was limited to studies from year 2000 to till-date. Keywords including; trust, communica*, relation*, “patient satisfaction”, “healthcare quality”, and “doctor-patient” were used to achieve relevant studies. A search was done using AND and OR to combine the results were found based on each keyword. A total of 673 article titles related to the topic came up in the search. From these titles list, 100 studies which were more closely related to the purpose of the review were shortlisted excluding some duplicate study noted. From this list, second check for duplicates was done and after removal, there were 83 articles. Abstract of these 83 articles was screened. From this, excluding abstract of those articles that were not of interest, not in English and some that could not be accessed, 25 full text articles were screened. Some article titles were sent to my course supervisor to get the full article. From this list, the final 17 articles were selected and reviewed. These articles were grouped into 3 categories for discussion; those studying trust and communication, patient satisfaction and healthcare quality. Trust is one of the essential components and fundamental part of doctor-patient relationship [5,6]. In general, to trust means to believe that someone is honest, nice or good, and will not harm you. In the medical field for some patients, it can be their belief or expectation for the physician to behave in a certain way . Patients might expect their health care provider to be competent, compassionate, honest, empathic, dependable and interested in their good will and expect a good outcome of their visit [21,22]. Trust in a doctor-patient relationship is something that involves both confidence and reliance. The patients are put in a vulnerable situation where they believe that the care-providers will care for their interest . For their own good, patients need to trust the doctors with their private information and body which is essential for their proper management [22-24]. Trust in the medical field can be considered as either institutional trust or interpersonal trust. For healthcare system, interpersonal trust is built, sustained or damaged through face to face encounters with health care providers. As for the institutional trust it is placed on the medical system or the institution. The doctor-patient interaction is influenced by both personality and social systems and trust occurs in a framework of interaction which is influenced by both personality and social systems . Despite its importance, trust is a complex and complicated subject that has been looked at with different perspective . Pearson et al., carried out a synopsis of theories about the patient and the evolutions of methods to measure it. They reviewed over 200 articles which showed that the patient trust subscale correlated most highly with patient assessment of the physician's communication (r=0.75), level of interpersonal treatment (r=0.73), and knowledge of the patient (r=0.68). Though, the correlation of trust was low with the longitudinal continuity of the patient-physician relationship, preventive counseling, and the patient's financial access to care; r of 0.22, 0.25 and 0.29 respectively . Depending on sociocultural context, different factor can give rise to trust as well. For a developing country, factors which influence patient’s trust in doctors includes the doctor's behavior, perceived comfort levels, personal involvement with the patient, and to a lesser extent by cultural competence and doctor's physical appearance . Gopicharan et al. conducted cross-sectional household survey using a structured questionnaire in rural and urban areas of Tamil, India to understand the dimension and determinants of trust in their physician. Participants were selected using multistage sampling; 625 men and women. The study showed that trust was more influenced by assurance treatment (β=0.714, p<0.001) and respect for the physician (β=0.763, p<0.001) than communication skills which weakly influenced the level of trust; (β=0.253, p<0.001) . In contrast, Banerjee & Sanyal showed that irrespective of sociocultural determinants, good doctor-patient concordance leads to better trust in the physician and this in turn leads to better patient enablement. They conducted a cross-sectional design using both qualitative and quantitative methods to study the determinants of the core dimensions of doctor-patient relationship. 198 patients waiting in the outpatient department of medical college hospital, Pune, India were interviewed using the questionnaires. They found that better concordance was associated with improved trust in the doctor (P=0.0001). This in turn was associated with improved patient enablement (P=0.001) . Fruitful trust is something that cannot just happen, rather it must be developed and maintained. Communication is one of the dimensions of physician behavior on which patients base their trust . The way a doctor communicates with his or her patient is as important as the information he/she is conveying to the patient . Communication and interpersonal skills are identified by the Accreditation Council for Graduate Medical Education as one of six areas in which doctors-in-training need to demonstrate competence in . Improving the communication skills helps the doctors to build an effective relationship between doctors and patients. Russel reviewed literature on communication in the field of health care, specifically between the doctor and his or her patient. He stated that it is very important for healthcare professionals to recognize that communication interventions need to be individualized and that discrepancy can arise as the two individuals (doctor and the patient) might decode the same information differently . Hence, from a clinical perspective, effective and efficient communication is a tool that helps doctors in providing quality care to their patients . Physicians with good communication and interpersonal skills tend to gather a proper history from the patient, which guides the appropriate examinations and then management . It facilitates exchange of information and includes patients in decision making. In the first encounter of doctors with the patients, use of questions by the doctor can aid in the free flow of information from the patient to the doctor. Swasey in her thesis mentions that in this first interaction, doctors can use open-ended question to guide the conversation in-order to get appropriate information needed for proper diagnosis and management. As the interview progresses, the doctors can use close ended questions to summarize the client’s concerns in such a way that patient’s will recognize that a doctor empathically understands them . Studies have shown that trust is closely related and somewhat influenced by the health care providers' communication skills [6,22,25,33]. There has been a shift from the problem focused communication to solution focused communication which is evident to the lay people as well . A study was conducted by Butalid et al. to examine whether analogue patients (patients and healthy subjects who rate videotaped medical consultations while putting themselves in the shoes of the video-patient) perceived the change in the quality of doctor-patient communication over 20 years. The mixed methodology type was used for the 108 analogue patients with hypertension to assess the videotaped consultation between 2 periods; in 1980s and in 2000s. The study found that participants recognize listening, giving support and showing respect were consistent themes in both the time periods. Though, there was a shift in participant observation on how general practitioners explained things to the patient (from just clarity of explanation to clarity and reasoning of advice), the decision-making process (from patient's consent to patient’s choice), the division of roles and responsibilities (from doctors alone to shared responsibility), and the emphasis on problem-focused communication in the first period versus solution-focused communication in the second period. The authors concluded that aspects of the medical interaction that patients value are evidence-based medicine and attention to the process of shared decision making. Interestingly, some doctors tend to over-rate themselves as opposed to the patient’s perception of the communication . Studies have demonstrated patient discontent even when many doctors considered the communication adequate or even excellent . Tongue et al. mentioned in his article that in an extensive national survey conducted by the American Academy of Orthopedic Surgeons (AAOS) with 807 patients and 700 orthopedic surgeons showed that 75% of the orthopedic surgeons surveyed believed that they communicated satisfactorily with their patients, but only 21% of the patients reported satisfactory communication with their doctors. Some of the barriers to good communication include patients’ anxiety and fear, fear of litigation, fear of physical or verbal abuse, unrealistic patient expectations and doctors’ burden of work. Ha et al., reviewed literature on doctor-patient communication and showed that the communication skills of medical officers tend to deteriorate over time and hence communication training should be on-going. Currently, there is a greater expectation of collaborative decision making. Physicians and patients participate as partners to achieve the agreed upon goals and the attainment of quality of life . Studies have shown that patient satisfaction is positively correlated with communication skills . Clever et al. conducted a study to find the relationship between physician’s communication behavior and patients overall satisfaction with hospital care. Participants studied included 3123 patients who were admitted to the University of Chicago Hospital’s General Internal Medicine service. This included patients willing to participate, spoke English, first admission within the study period and those who completed their 1-month follow-up questionnaire. To remove possible confounding of the association between patient ratings of physician communication and overall satisfaction by other patient‐specific attributes, they created a third variable, called instrumental variable in a two‐stage linear regression for analysis. The study showed a signiﬁcant positive relationship between overall ratings of attending’s communication behaviors and overall satisfaction (p value <0.001); an increase in overall satisfaction of 0.58 points on a 5-point scale for each 1-point increase in overall attending’s’ communication behaviours; (p <0.001). After the attempt to control confounders, they still found a significant relationship; (r=0.40, p=0.046). Small changes in doctor communication behaviors can make some significant changes in patient satisfaction . Similar findings were noted in another study . Biglu et al. carried out a cross-sectional descriptive study among the patients referred to 8 specialized clinics of Tabriz University of Medical Sciences in Iran. The study showed strong correlation between the communication skills of doctors and patient satisfaction; (p<0.05). The study concluded that doctors should be having regular workshops to improve their communication skills. Although, interpersonal-based medical service encounter directly affects patient satisfaction, patient trust is used as intervening variable to affect patient satisfaction, which represents an indirect effect . Chang et al. carried out a study to bridge the gap on the correlation between service quality, patient trust, and satisfaction from the prospect of interpersonal-based medical service encounters. They conducted a cross-sectional study using a questionnaire in seven medical centers of Taiwan. Participants were recruited under volunteer basis; from a total of 350 participants, 285 valid copies were retrieved. Structural equation modeling showed that perception of service quality among patients positively influences their trust (β=0.49) and perception of trust among patients positively influences their satisfaction (β=0.33). Hospitals are recommended to enhance professional skills and communication, attitudes of personnel to build adequate trust and retain patients . When it comes to patients with chronic disease, trust and communication carry the same value in their satisfaction with the care provided. There is a need for doctors to develop good interpersonal and communicating skills in-order to have an effective and quality doctor-patient interaction with their diabetic patients. A physician’s competency is reflected in the patient satisfaction of their interaction with the doctor . Jalil et al. conducted a cross-sectional mixed methodology study to analyze the association between patient satisfaction and five dimensions of medical interaction including interpersonal aspects and communication using structured patient satisfaction questionnaire and face to face interview. For all the patients attending public diabetic clinic in the province of Punjab in Pakistan, 1,218 patients who were 18 years over, had diabetes and made at least three previous visits to the same clinic were included in the study. Their study showed that for both communication and interpersonal aspects, patient dissatisfaction decreased with each one unit increase in the subscale scores (OR=0.83, p<0.01 and OR=0.82, p<0.01, respectively). Qualitative analysis also showed that communication and approachability was linked to the doctor - patient interaction. This study concluded that patient dissatisfaction was related to inadequate medical interaction with the patients. Empowering the patients, training the medical staffs on proper interactions and doing regular patient satisfaction surveys will contribute to increase in quality of doctor-patient interaction . Trust has been shown to have a positive impact on patients such as patient’s adherence to medication, patient satisfaction, and better indicator of follow up treatment [8,21,23,40,41]. Patients with higher trust in their physician usually have more beneficial health behaviours, less symptoms, higher quality of like and were more satisfied with the treatment. Healthcare providers, especially doctors, must convince their patients to share personal information, submit to tests and take chemicals in the form of medication in their body . Trust plays a vital role to get all this done. A meta-analysis was conducted by Birkhauer et al. to know if trust in physicians was associated with health outcomes. They synthesized 47 full text, peer-reviewed articles which were relevant to their objective. Extracted data were analyzed using correlation. Thou their exploratory data analysis showed large correlations between trust and patient satisfaction, this meta-analysis found that there was a small correlation between trust and health outcomes (r = 0.24, 95% CI: 0.19-0.29) . The authors suggested further prospective studies need to be done to further knowledge on impact of trust on health outcome. Patient satisfaction, which is influenced by trust is an important indicator to know the quality of the hospital and clinical services provided. Studies have shown a strong correlation between patient satisfaction and quality, including safety of health care [9,11,12]. Price et al. conducted a literature review on the association between patient experiences and other measures of health care quality. Their review showed that improved patient satisfaction was associated with increased levels of adherence to treatment processes and recommended prevention, improved clinical outcomes, better patient safety within hospitals and less health care utilization . Hence, conducting patient satisfaction surveys using standard protocols and appropriate methods are appropriate complements for clinical process and outcome measures in healthcare facilities. These experiences of the patients gathered from a patient’s report carry significant weight. It can serve as an indicator of the actual quality of the care they receive . Tsai et al. conducted a study in 2015 to explore the relationship between patient satisfaction and quality and efficiency of surgical care in the United States. They used the Hospital Consumer Assessment of Healthcare Providers and Systems survey data from 2010 and 2011 to assess performance on patient experience in 2953 US hospitals. Hospitals with the highest level of patient satisfaction had a shorter length of stay (7.1 days vs. 7.7 days; p<0.001) and lower readmission rate (12.3% vs. 13.6%; p<0.001). This US study showed that hospitals with high patient satisfaction provided more efficient care and were associated with higher surgical quality . As mentioned trust is complex concept both from the doctors and patient’s perspectives. Even though, trust in a doctor-patient relationship has advantages such as avoiding unnecessary outrage due to inferior performance, Hall et al., in their article which reviewed and synthesized the emerging literature on trust in physicians and in medical institution stated that blind trust from either party can have some adverse effects. 6 Inferior and improper treatment can be perceived as good management without any queries made by the patients. Overall, it is important to for individual health care facilities to carry out their patient satisfaction surveys to facilitate strategy formulation of effective and efficient quality of health care services and better patient outcomes. The current literature illustrates the importance of trust and communication in a doctor-patient relationship for a better and effective treatment given to the patients. Trust is something that must be built and gained and having good communication skills, assists in building this trust between a doctor and patient. The evidence shows that trust and communication with a patient - centered approach has contributed to improved patient outcomes with patients being satisfied with the services they were offered at the health facility. This is associated with better adherence to the treatment and better perceived quality of health care services. The importance of trust and communication in a doctor -patient relationship carry the same importance for both developed and developing countries in terms of patient satisfaction and quality of health care services, though the determinants may differ slightly. Conducting regular patient satisfaction surveys and further research on this topic will help health facilities to evaluate their services and help with strategic planning to better their services. Levy S (2017) How has the physician-patient relationship changed? Medscape-Nov 08. Gerber BS, Eiser AR (2001) The patient-physician relationship in the internet age: Future prospects and the research agenda. J Med Internet Res 3: e15. Agarwal AK, Murinson BB (2012) New dimensions in patient–physician interaction: Values, autonomy, and medical information in the patient-centered clinical encounter. Rambam Maimonides Med J 3: e0017. Centor RM (2007) To be a great physician, you must understand the whole story. Med Gen Med 9: 59. Fulton county medical center (2018). The importance of healthy doctor-patient relationships. Mckinstry B, Ashcroft R, Car J, Freeman G, Sheikh A (2006) Interventions for improving patients' trust in doctors and groups of doctors. Cochrane Database Syst Rev 3: CD004134. 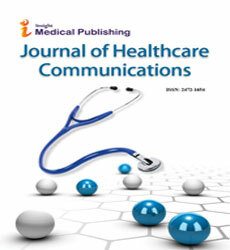 Ha JF, Longnecker N (2010) Doctor-patient communication: A review. Ochsner J 10: 38-43. Birkhäuer J, Gaab J, Kossowsky J, Hasler S, Krummenacher P, et al. (2017) Trust in the health care professional and health outcome: A meta-analysis. PLoS ONE 12: e0170988. Anhang Price R, Elliott MN, Zaslavsky AM, Hays RD, Lehrman WG, et al. (2014) Examining the role of patient experience surveys in measuring health care quality. Med Care Res Rev 71: 522-554. Tsai TC, Orav EJ, Jha AK (2015) Patient satisfaction and quality of surgical care in US hospitals. Ann Surg 261: 2-8. Isaac T, Zaslavsky AM, Cleary PD, Landon BE (2010) The Relationship between patients’ perception of care and measures of hospital quality and safety. Health Serv Res 45: 1024-1040. Jha AK, Orav EJ, Zheng J, Epstein AM Patients’ perception of hospital care in the United States. N Engl J Med 359: 1921-1931. World Health Organization (2018). Health systems development in the Pacific, South pacific situation summary. Diaz JA, Griffith RA, Ng JJ, Reinert SE, Friedmann PD, et al. (2002) Patients’ use of the internet for medical information. J Gen Intern Med 17: 180-185. Akerkar SM, Bichile LS (2004) Doctor patient relationship: Changing dynamics in the information age. J Postgrad Med 50: 120-122. Swami N (2017) Fiji's health care concern citizens. The Fiji Times Online. Mills A (2014) Health care systems in low- and middle-income countries. N Engl J Med 370: 552-557. Eric L, Tuiketei TB, Biaukula V (2016) Patient waiting time in GOPD and SOPD at Nadi Hospital 2012. Fiji Journal of Public Health. Shing G 2011 Healthcare service delivery and customer satisfaction: Insight from government hospitals in Fiji. International Journal of Services Economics and Management 3: 323-335. Pearson SD, Raeke LH (2000) Patients' trust in physicians: Many theories, few measures, and little data. J Gen Intern Med 15: 509-513. Goold SD (2002) Trust, distrust and trustworthiness. J Gen Intern Med 17: 79-81. Hall MA, Dugan E, Zheng B, Mishra AK (2001) Trust in physicians and medical institutions: what is it, can it be measured, and does it matter? Milbank Q 79: 613-639. Goold SD, Lipkin M (1999) The doctor–patient relationship: Challenges, opportunities, and strategies. J Gen Intern Med 14: S26-S33. Meyer S, Ward P, Coveney J, Rogers W (2008) Trust in the health system: An analysis and extension of the social theories of Giddens and Luhmann. Health Sociol Rev 17: 177-186. Gopichandran VP, Chetlapalli SK (2015) Trust in the physician–patient relationship in developing healthcare settings: a quantitative exploration. Indian J Med Ethics 12: 141-148. Banerjee A, Sanyal D (2012) Dynamics of doctor–patient relationship: A cross-sectional study on concordance, trust, and patient enablement. J Family Community Med 19: 12-19. Travaline JM, Ruchinskas R, D'Alonzo GE (2005) Patient-physician communication: Why and how. J Am Osteopath Assoc 105: 13-18. Al-Temimi M, Kidon M, Johna S (2016) Accreditation council for graduate medical education core competencies at a community teaching hospital: Is there a gap in awareness? Perm J 20: 69-73. Russell AL. The role of effective communication in medicine. University of tennessee honors thesis projects. 2016. Biglu MH, Nateq F, Ghojazadeh M, Asgharzadeh A (2017) Communication skills of physicians and patients’ satisfaction. Materia Socio-Medica 29: 192-195. Swasey ML (2013) Physician and patient communication: A grounded theory analysis of physician and patient web-logs. Southern Utah University. Ong LM, de Haes JC, Lammes FB (1995) Doctor-patient communication: a review of the literature. Soc Sci Med 40: 903-918. Chin JJ (2001) Doctor-patient relationship: a covenant of trust. Singapore Med J 42: 579-581. Butalid L, Verhaak PFM, Boeije HR, Bensing JM (2012) Patients’ views on changes in doctor-patient communication between 1982 and 2001: a mixed-methods study. BMC Family Practice 13: 80. Tongue JR, Howard R, Forese LL (2005) Communication skills for patient-centered care. J Bone Joint Surg 87: 652-658. Clever SL, Jin L, Levinson W, Meltzer DO (2008) Does doctor–patient communication affect patient satisfaction with hospital care? Results of an analysis with a novel instrumental variable. J Health Serv Res 43: 1505-1519. Chang CS, Chen SY, Lan YT (2013) Service quality, trust, and patient satisfaction in interpersonal-based medical service encounters. BMC Health Serv Res 13: 22. Jalil A, Zakar R, Zakar MZ, Fischer F (2017) Patient satisfaction with doctor-patient interactions: a mixed methods study among diabetes mellitus patients in Pakistan. BMC Health Serv Res 17: 155. Haskard Zolnierek KB, DiMatteo MR (2009) Physician communication and patient adherence to treatment: A meta-analysis. Med Care 47: 826-834. Baker R Mainous AG, Gray DP, Love MM (2003) Exploration of the relationship between continuity, trust in regular doctors and patient satisfaction with consultations with family doctors. Scand J Prim Health Care 21: 27-32.